YardEdge: Why are you a poet/writer? Velma: Actually I have always been a teacher who writes. Now that I am retired I suppose I could start referring to myself as a writer. YardEdge: When did you first realize that you wanted to write? Velma: I don’t remember when I wasn’t writing but I think that was my mother’s fault. She encouraged it. Velma: As poetry and fiction about anything that is around me. 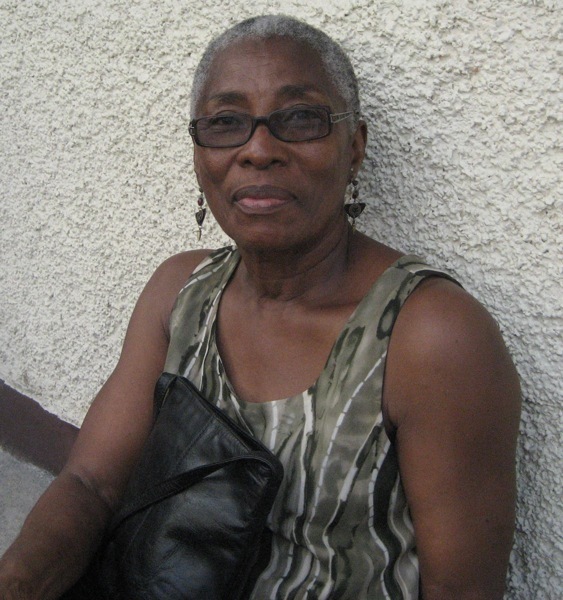 Velma: It was not a conscious development but I have no doubt that my studies in Literature and Language at different levels exposed me to good writing and made me conscious of the need for the right word. YardEdge: What do you consider the biggest challenges to being a writer? Velma: The hassle of getting published. Velma: Too many to mention. Certainly the Caribbean poets who are a few years older than I am . I am very conscious also of seventeenth century English poetry as one of the joys of my undergraduate days and so perhaps an influence. Velma: Interesting events and places. YardEdge: Tell us about your recent work? What you are launching in November? Velma: Leaving Traces, a collection of poems. It was due out two years ago and at one point I was a little anxious that it wouldn’t be out but I suppose “all’s well that ends well”. Velma: Greedy. Wanting everything out of life. Velma: What I am doing now. Exercise, Yoga etc. etc. instead of 8am lectures. Velma: I am particularly BLESSED: thoughtful children, lovely grandchildren, good friends, positive experiences. In fact everything that has happened to me (even what looks negative ) has, in the long run, been to my advantage. What better could I ask? in my short experience as a literature student, Velma’s literary works have been my opener of the very experiences as an African literature student. Sorry I wont be in Jamaica for your launching of Leaving Traces Velma.Best of Luck. Really looking forward to this launch! Congrats to Velma & Earl. Sorry I’ll miss the launch,but congrats to one fabulous woman!! !